NEW YORK (WABC) -- There is a new study about the dangers of drowsy driving. 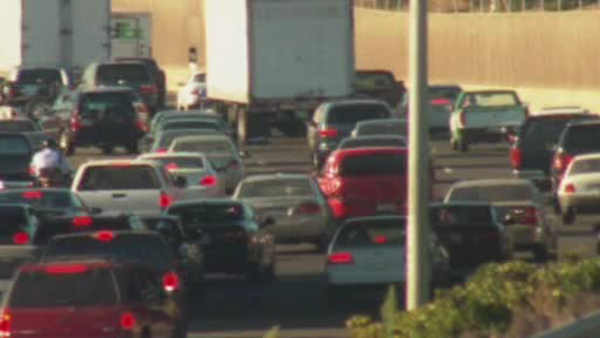 AAA is telling drivers to get at least seven hours of sleep before getting behind the wheel. The Foundation for Traffic Safety says drivers who miss one to two hours of sleep in a 24-hour period nearly double their risk of crashing. The less sleep, the higher the crash risk. Drivers who get less than four hours of sleep in a day are reported to be 11 and a half times more likely to get into an accident. The Centers for Disease Control and Prevention says that 35 percent of U.S. drivers sleep less than the recommended seven hours daily, AAA said. And with drowsy driving involved in more than one in five fatal crashes on U.S. roadways each year, AAA warns drivers that getting less than seven hours of sleep may have deadly consequences. Symptoms of drowsy driving can include having trouble keeping eyes open, drifting from lanes or not remembering the last few miles driven. However, more than half of drivers involved in fatigue-related crashes experienced no symptoms before falling asleep behind the wheel.